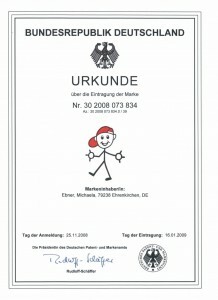 Another important field of activity of our office is trade mark protection. If you wish to characterize your goods and services with a trade mark, it is possible to protect this trade mark from plagiarism at home and abroad. Signs that are suited to distinguish the goods and services of an enterprise from those of other enterprises are protected as trade marks. Trade marks may consist of words, letters, figures, illustrations, three-dimensional objects and acoustic signals. A trade mark need not be novel. Also trade marks that have already been used may be filed and registered. However, before a trade mark is filed or used, a search for objecting older rights of third parties should be performed to avoid collisions. 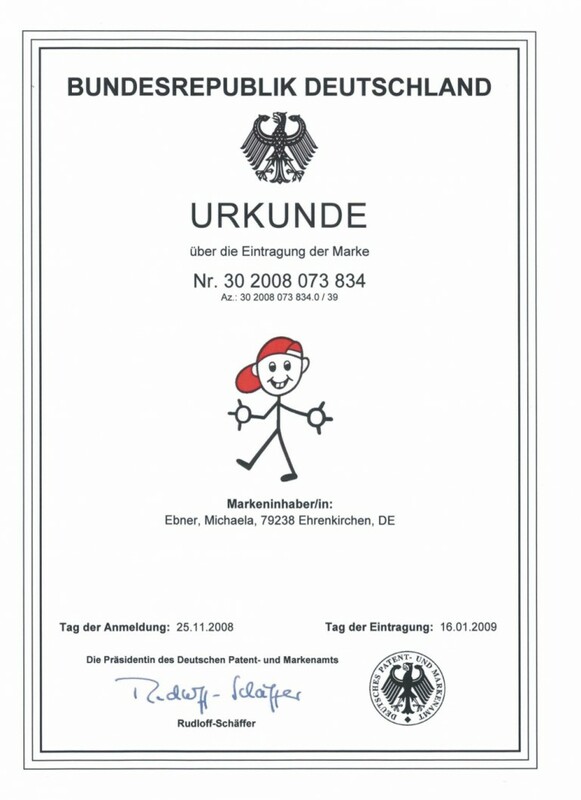 While a German trade mark offers protection in Germany only, uniform trade mark protection in the entire European Union may be obtained by a European Union Trade Mark. The application of a trade mark requires a request for registration of the trade mark which includes a representation of the trade mark and a list of goods and services for which the trade mark is to be protected. The goods and services have to be classified in classes in accordance with the international Nice Classification. Classes 1 to 34 are provided for goods and classes 35 to 45 for services. A trade mark may be filed for several classes. In the case of German trade mark application with more than three classes, class fees will have to be paid for the fourth and any further classes. Examination procedure: Absolute grounds for refusal of the registration of a trade mark must not exist. This means that the trade mark may, for instance, not consist exclusively of indications that are descriptive and/or mandatory to be kept free for goods/services for which it was filed. Neither must a trade mark be misleading. Such grounds for refusal are examined by the Office and may result in objections that may be invalidated by the applicant by the filing of counter arguments and/or by restricting the goods/services. If the Office maintains its attitude, the trade mark application will be rejected. The remedy of appeal is possible against the decision of rejection. Opposition procedure: After the publication of the registration of a German trade mark, the owners of an older trade mark (application) have the possibility of lodging opposition against the registration within three months. The Office will then examine whether the older trade mark is confusable with the younger one and will decide, where appropriate, the cancellation of the younger trade mark or else the rejection of the opposition. Appeal is possible against the decision. The owners of older trade marks are, however, not obliged to file opposition and may, even after expiration of the opposition term, assert rights from their older trade mark against the use of the trade mark filed. Moreover, the use of a trade mark may also be objected by business designations, in particular company symbols. It is therefore advisable to perform a search in good time prior to starting the use of the trade mark. Use: Within five years from registration or – if an opposition is lodged – from termination of the opposition procedure the trade mark will have to be seriously used for the registered goods and/or services in the area of application of the trade mark. For this purpose, the trade mark should preferably be applied on the good or its package. For goods and services for which the mark is not used during a continuous period of more than five years, the mark may be cancelled on request of a third party. Renewal: The duration of protection of a trade mark is 10 years and may be renewed on payment of a fee by another 10 years as often as desired.